Nowadays, “detox” is what tanned, golden-haired skinny people do as they chew on raw leaves and sip their lukewarm lemon waters while staring peacefully out of their luxury lodge windows at the mountain spa retreat. But it wasn’t always. Once upon a time, “detox” was something everyone’s body did all the time, through normal, healthy body functions. 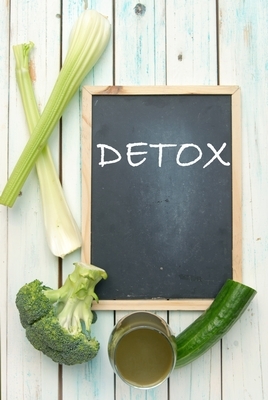 Detoxification is one of the body’s oldest and most automatic processes. It is a joint effort of your colon, liver, kidneys, lungs, lymph and skin to regularly eliminate and neutralize the toxins in your body that could otherwise make you feel sluggish, gain weight, experience cravings, become bloated, feel fatigued, retain water, get sick, age prematurely and become ill. But times are different now. It’s a time when the typical fare of most North Americans features highly processed, high chemical and low nutrient foods. It’s a time when people spend the majority of their lives inactive and indoors. It’s a time when the foods we eat, the products we use and the air we breathe is so full of toxins that our bodies’ detoxification processes often become too overburdened to keep up. Detox organs become overtaxed, cleansings functions slow down, metabolism becomes sluggish, and toxins build up and get stored inside ever-increasing amounts of stubborn fat tissue. That’s why, these days, our bodies need more help. A healthy, seasonal detoxification plan can help the body catch up where it’s fallen behind, re-stimulating its own natural self-cleaning system to break down fat, eliminate toxins, lose weight and help you feel good again. Taking steps to stimulate your body’s energy stores, increase your metabolism and support your natural hormonal balance is key to awakening your body’s natural detoxification processes, driving weight loss and promoting better health. This 7-day cleanse program tackles these 8 goals directly. By strategically combining a cleanse-focused 7-day eating plan with SLIMQUICK’s specially formulated SLIMQUICK Pure Extra Strength Drink Mix, this weight loss system is designed to increase metabolism, reduce appetite, boost energy, support hormones and reduce stress, helping to trigger your body’s natural weight loss and detoxification processes. women have trouble losing weight: a sluggish metabolism, irrepressible appetite, low energy, water retention, unbalanced hormones and high stress levels. The all-natural weight loss formula incorporated into SLIMQUICK Pure Extra Strength Drink Mix targets women’s unique body chemistry, featuring compounds that have been scientifically shown to speed up women’s weight loss. SLIMQUICK has successfully isolated the fat-burning component in green tea that speeds up your metabolism – BioPure Green Tea – that has been clinically proven to help overweight women lose 3 times more weight when compared to just dieting alone. Formulated with revitalizing nutrients like calcium, vitamin D, antioxidants and BioPure Green Tea, SLIMQUICK Pure Extra Strength Drink Mix helps women lose 3 times the weight and purge toxic fat, while also increasing a woman’s metabolism and energy, supporting a woman’s hormones, reducing stress, encouraging hydration and nourishing the body with energizing nutrients and herbs. Follow this cleanse program for 7 days. In addition to following this eating plan daily, sip on clean water throughout the entire day. Also, include no less than 30 minutes of exercise into each day. 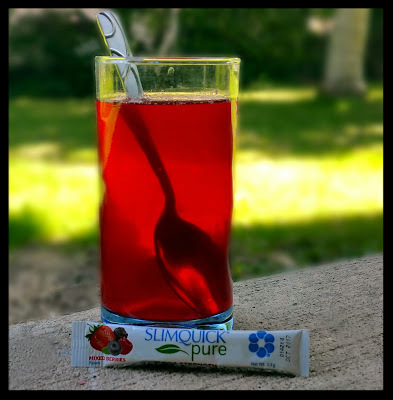 After you have completed the cleanse, continue using SLIMQUICK Pure Extra Strength Drink Mix as instructed on the package, in combination with a reduced calorie diet and a regular exercise program in order to promote ongoing weight loss results. Choose 1: 1 tablespoon extra-virgin olive oil with lemon juice, 1 tablespoon extra-virgin olive oil with apple cider vinegar, 2 tablespoons humus with lemon juice and (optional) pinch of cayenne pepper, 2 tablespoons tahini with lemon juice and (optional) pinch of cayenne pepper. Dinner: Lean Protein with Steamed Greens. Choose 1: Up to unlimited quantity of – Asparagus, broccoli, cauliflower, spinach, arugula, kale, chard, collard greens, green beans, Brussel sprouts. Lightly steam and dress with 1 tablespoon of extra-virgin olive oil combined with pressed garlic and (optional) crushed red pepper flakes. Breakfast: After drinking SLIMQUICK Pure Weight Loss Breakfast Drink, drink 500mL of clean water mixed with a packet of SLIMQUICK Pure Extra Strength Drink Mix (or optional: add 500mL of water and a second packet of SLIMQUICK Pure Extra Strength Drink Mix to the SLIMQUICK Pure Weight Loss Breakfast Drink ingredients listed for Day 1). Repeat Mid-Morning Snack, Lunch, Early Afternoon Snack and Dinner from Day 1. Repeat Breakfast, Mid-Morning Snack and Lunch from Day 2. Early Afternoon Snack: After drinking SLIMQUICK Pure Weight Loss Detox Drink, drink 500mL of clean water mixed with a packet of SLIMQUICK Pure Extra Strength Drink Mix (or optional: add 500mL of water and a second packet of SLIMQUICK Pure Extra Strength Drink Mix to the SLIMQUICK Pure Weight Loss Detox Drink ingredients listed for Day 1). Repeat Dinner from Day 1. Repeat daily meal plan from Day 3. 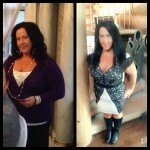 Yes there is a $4.00 off coupon available on your facebook page go to http://www.facebook.com/myslimquick and print your coupon today! When the directions say to drink 2 packs in the morning and 2 in the afternoon – does that mean 2 packs together at the same time in the morning and 2 packs together at the same time in the afternoon. Or spread them out? I assume you’re talking about our drink mix in which case yes we mean take two packets right after each other but be do not expect you to chug down the two bottles of water in a matter of minutes, it’s okay if you take your time.